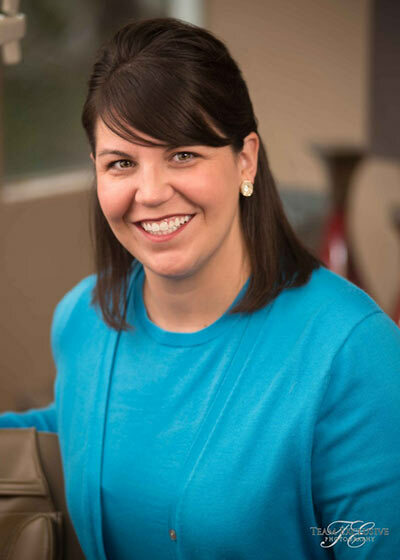 Emily joined Doctor Krueger’s team in 2005, having already had ten years of experience in the dental field. She works closely with patients, guiding you through treatment beginning at your first visit until your treatment is complete. 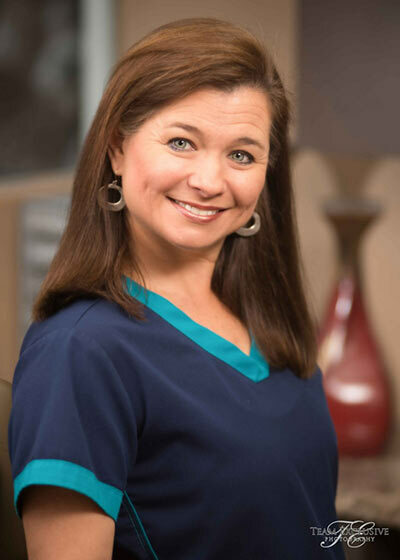 She acts as a liaison between our office and that of your restorative dentist, helping your dental experience flow smoothly. She is certified in IV placement as well, and she may be helping you in our clinical setting. She graduated with a Bachelor of Arts degree in Organizational Development from the University of the Incarnate Word in 2015. Her children keep her quite busy when she is out of the office, and she travels whenever the opportunity arises. Casey has worked with Doctor Krueger since 1986. She finds ways to make treatment financially possible for all patients. Casey is an expert at helping patients utilize their dental insurance to its maximum potential, and can assist others with dental finance plans. She enjoys spending time with family at the lake, and assisting her son at 4H competitions and as he shows pigs for FFA. 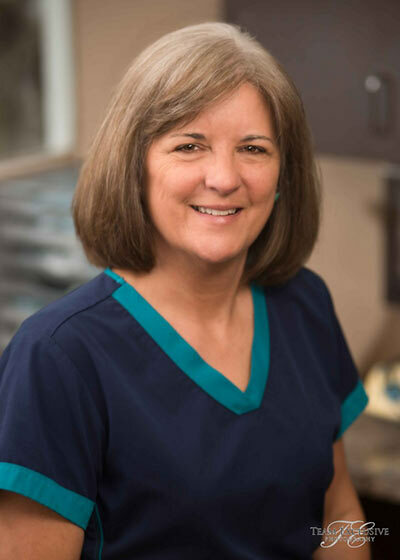 Sharon has been a member of Doctor Krueger’s team since 2000, having come from a periodontal practice in Victoria prior to moving to San Antonio. She graduated from Wharton County Junior College with an Associate's Degree in Applied Science, and has practiced dental hygiene since 1986. Sharon has a vast knowledge of dentistry, and specializes in managing periodontal patients who have struggled with gum disease. She and her husband spend a lot of time at the soccer field supporting their daughter, who plays club soccer. 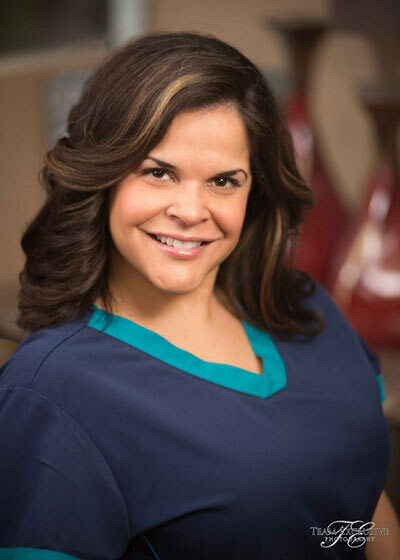 A former instructor at The University of Texas Health Science Center at San Antonio’s Dental Hygiene program, Riva now works with Doctor Krueger’s team. She has a thorough understanding of the dental patient, and specializes in managing periodontal patients who have battled gum disease. She graduated in 1978 from the Baylor College of Dentistry Dental Hygiene program with a Bachelor of Science degree. She never misses an opportunity to spend time with her grandchildren. The longest-standing member of Doctor Krueger’s team, Melissa has assisted him since soon after he began practice. Her experience with periodontal surgery makes her an invaluable asset to the practice. 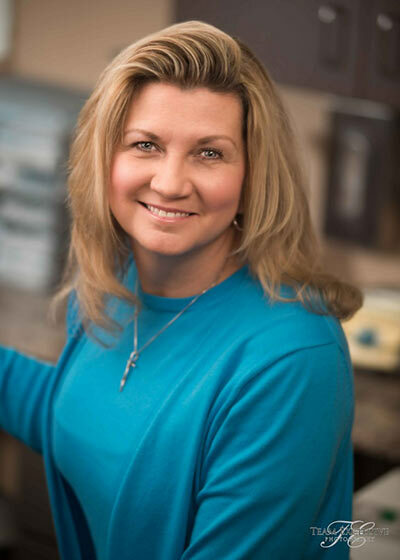 Melissa works closely with her patients to ensure they are comfortable and relaxed prior to any treatment. She graduated from the San Antonio College of Dental Assisting. Melissa enjoys camping, biking and spending time at the beach with her family. "Mini" has worked chairside with Doctor Krueger since 1997, having begun after graduating from the San Antonio College of Dental Assisting. 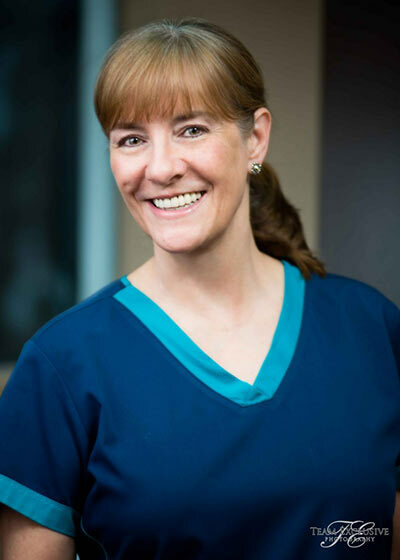 Her experience has focused on the periodontal and dental implant areas, and her sense of humor helps patients feel at ease while working with her. She enjoys spending time with family and friends, and loves to travel.